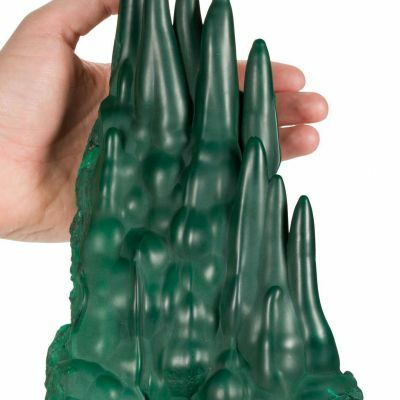 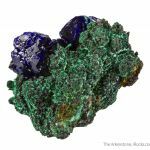 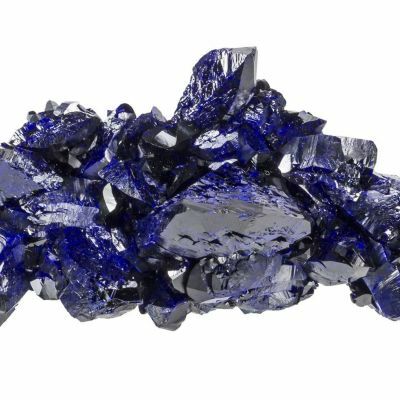 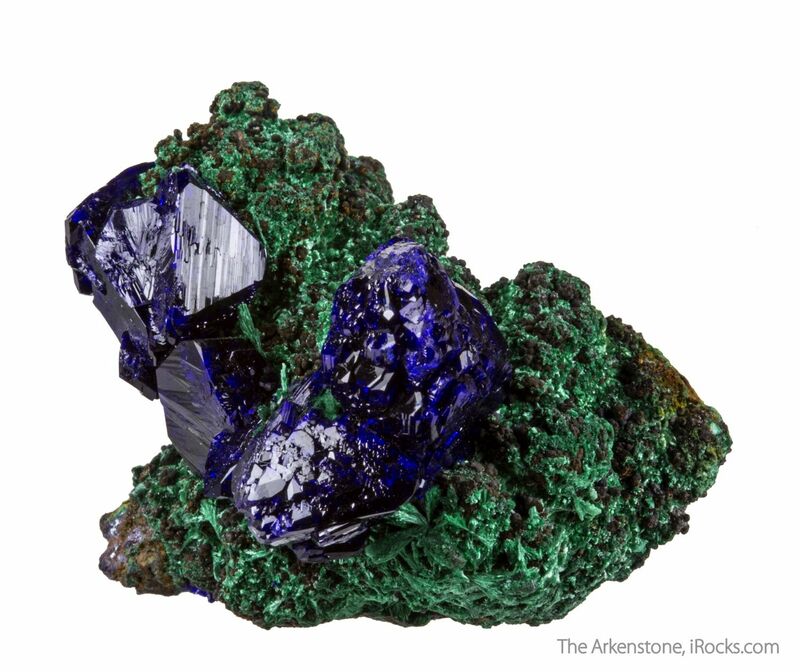 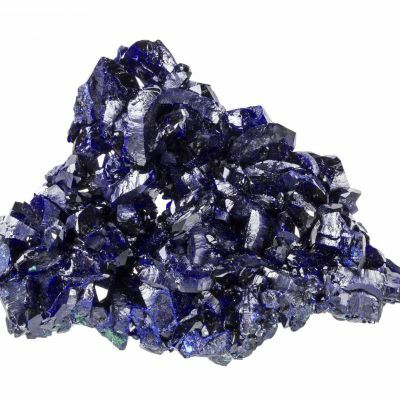 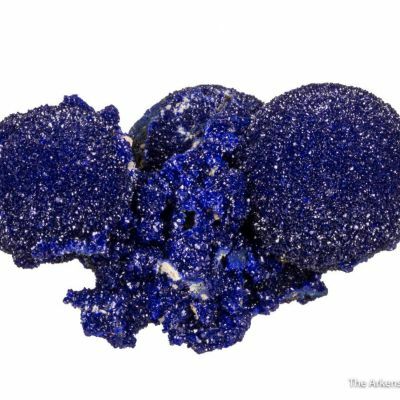 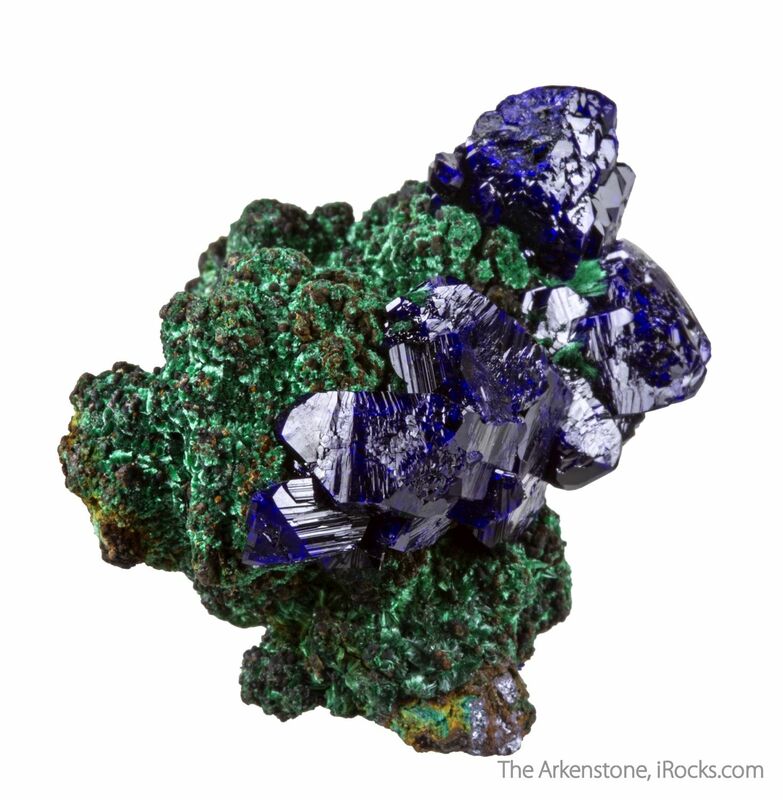 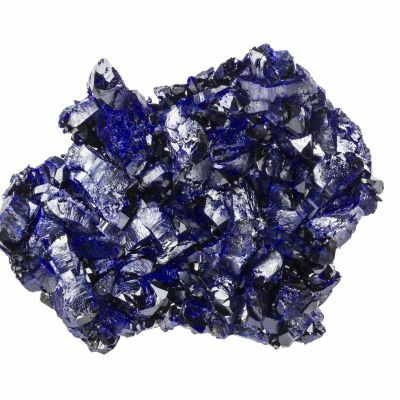 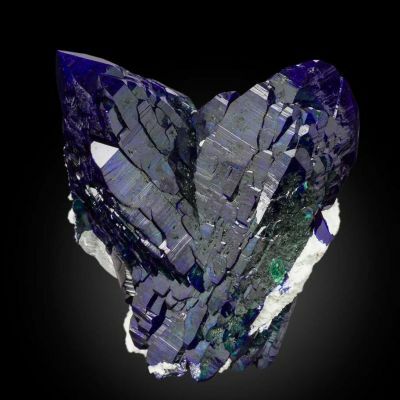 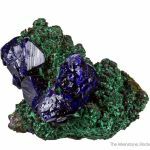 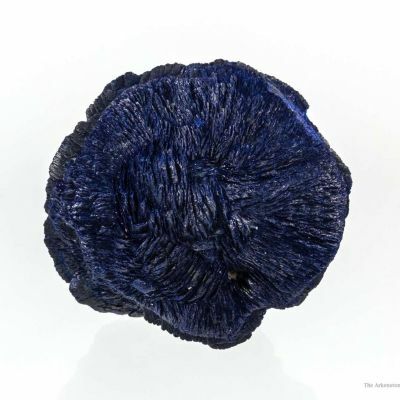 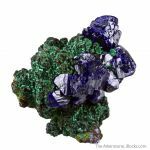 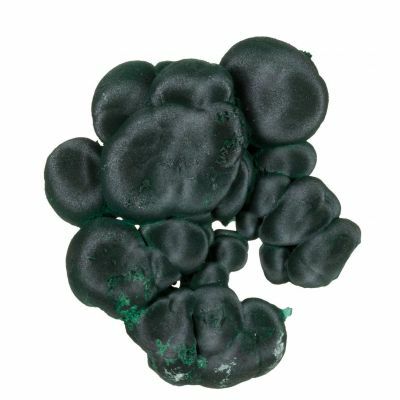 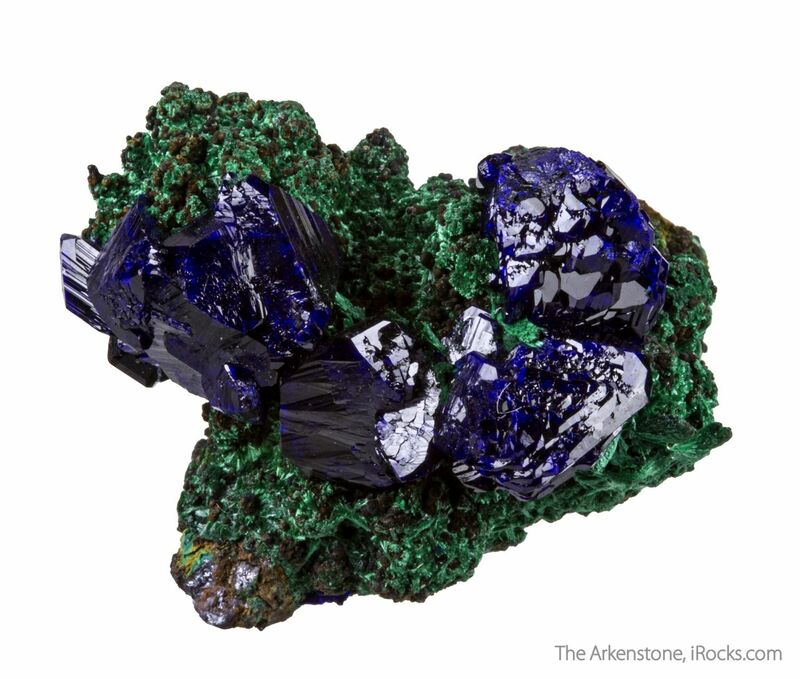 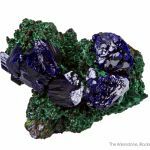 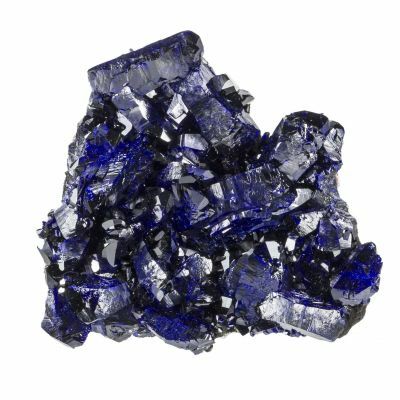 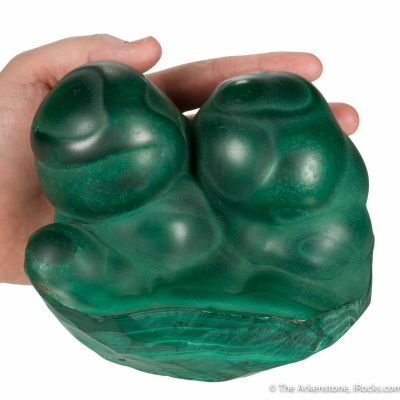 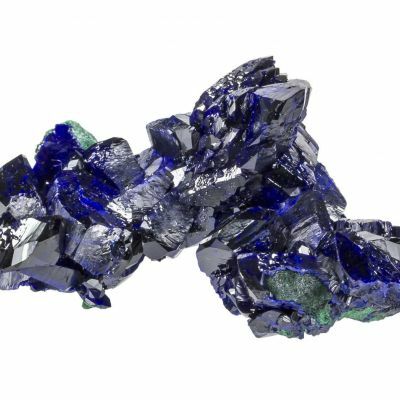 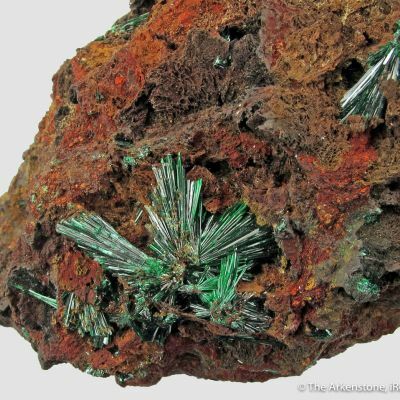 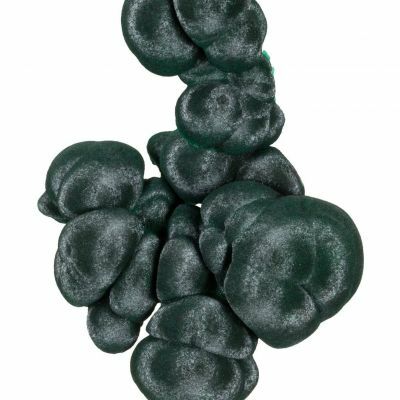 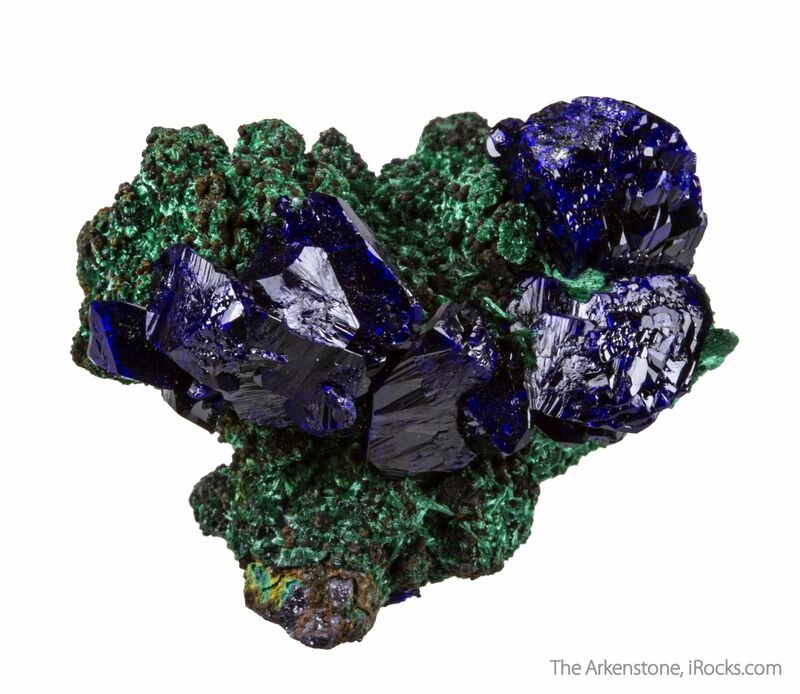 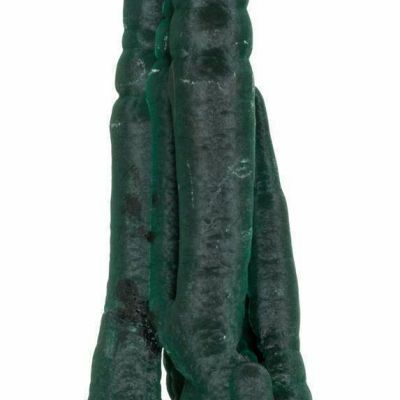 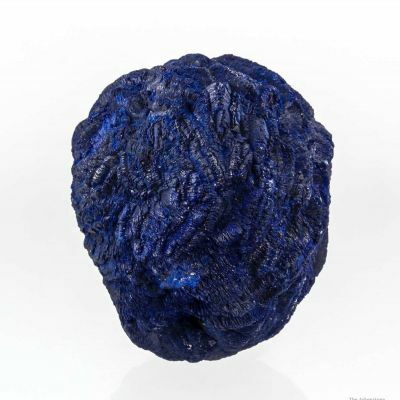 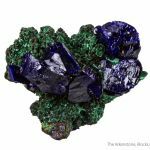 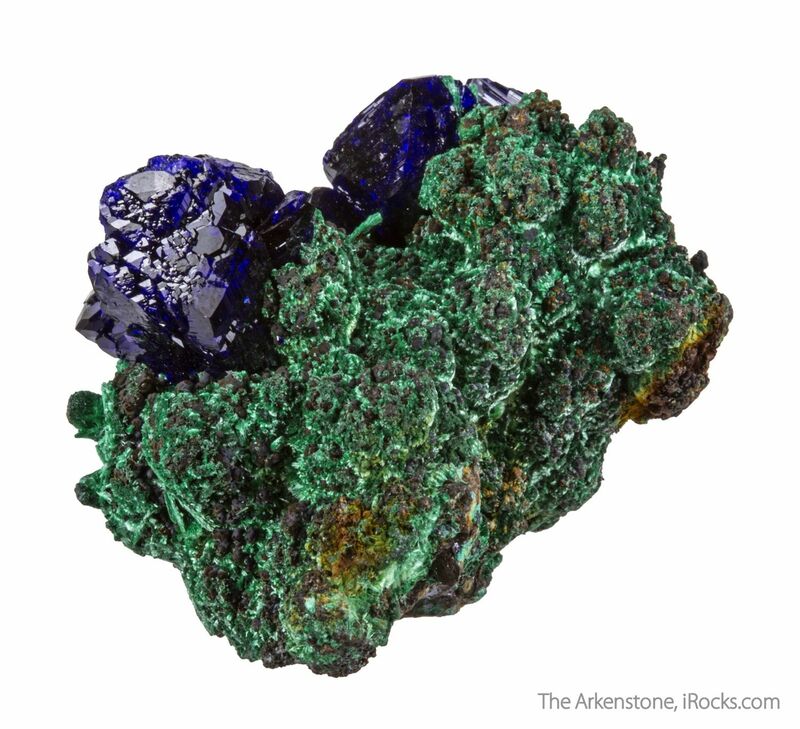 Velvety green malachite infused with bits of copper forms the matrix for a few brilliantly lustrous, neon blue azurite crystals, to 1.6 cm across. 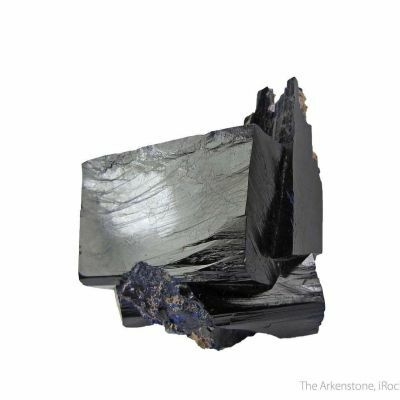 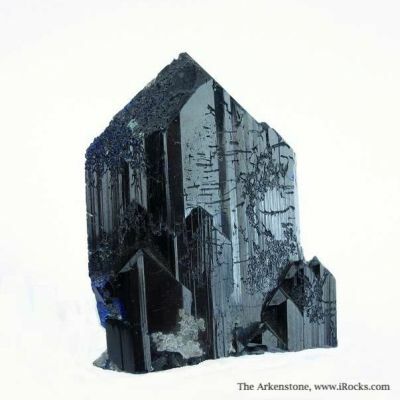 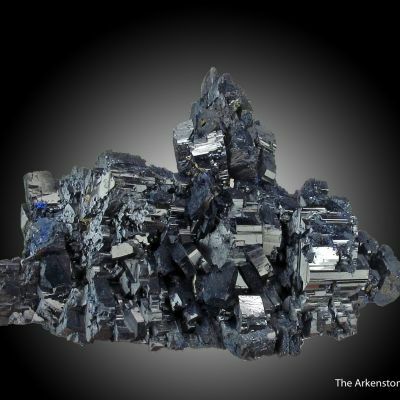 They are pristine and superb, except only for a very minor contact on one crystal. 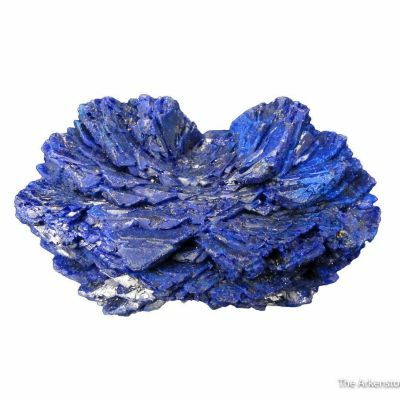 This is a gorgeous, 3-dimensional piece from these new finds that are trickling out to market (although most are flat plates, and heavily damaged).